The Monte Velho Equo-Resort is a boutique hotel and is located 7 km from Arraiolos a breeding farm horses of the Lusitano breed. 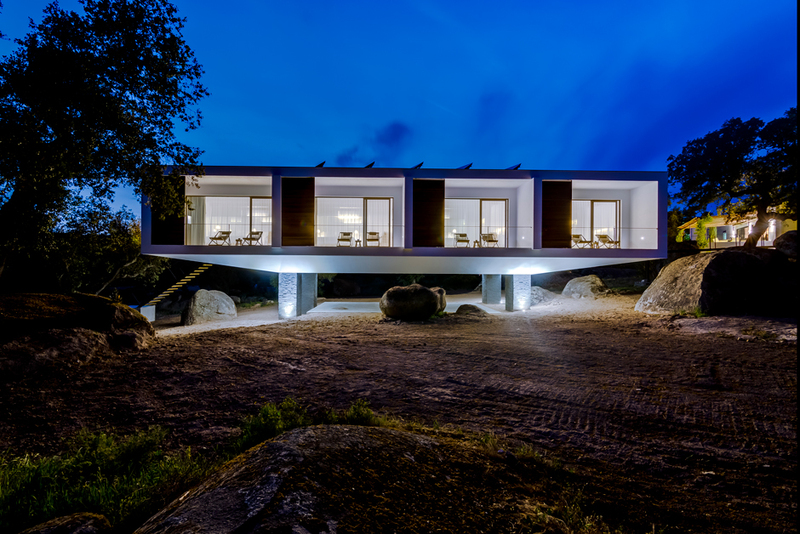 The architecture project of Equo Resort is designed by architect Diogo de Lima Mayer, the owner, and the interior design of Margarida de Lima Mayer, his wife. The property merges with the surrounding countryside and provides training and horse riding lessons on request. Each room opens onto a furnished balcony with views of the countryside and the dam. Rooms include a Nespresso coffee machine, an iPod / iPhone docking station and a multi-channel TV. The private bathroom is separated from the room by a glass wall and features a modern walk-in shower. Monte Velho can organize themed meals, outdoor picnics and canoeing on the dam. 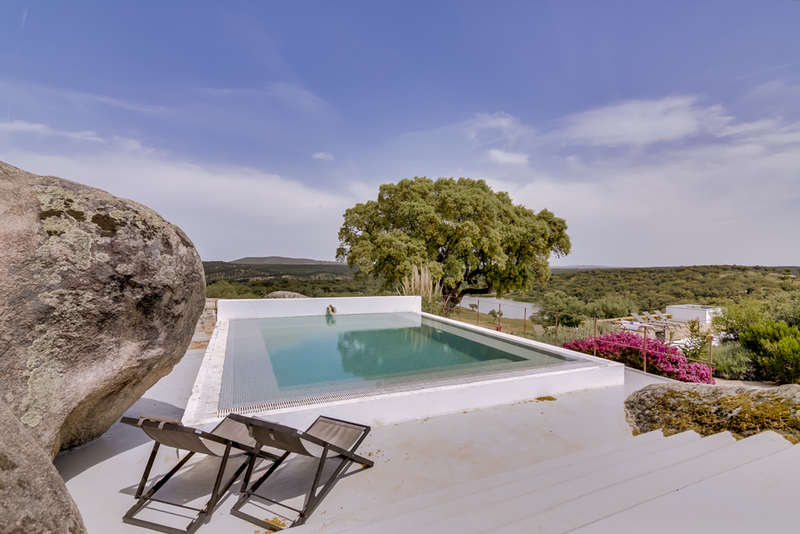 Guests wishing to explore the Alentejo countryside on a horseback ride with a guide or book a class with a specialist can make the request in advance. The rooftop pool offers panoramic views. There are a few sitting areas with umbrellas and sun loungers by the gardens, where guests can enjoy a spectacular sunset. The city of Évora, considered a UNESCO World Heritage Site, is 30 km from Monte Velho Equo-Resort.